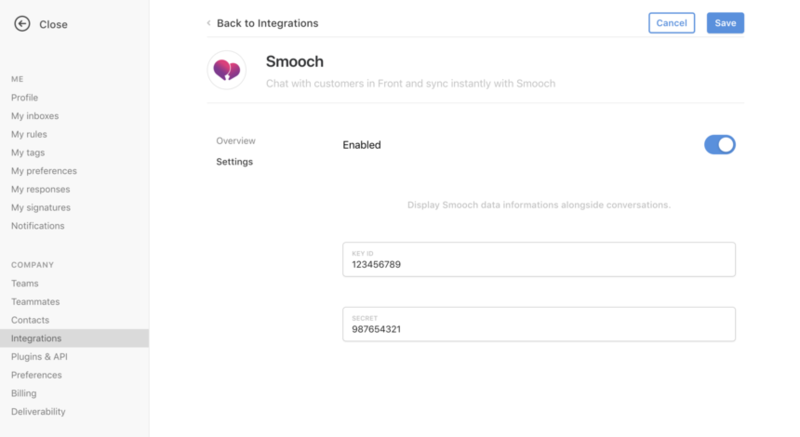 Like other integrations, you need to be an admin in order to enable the Smooch integration. 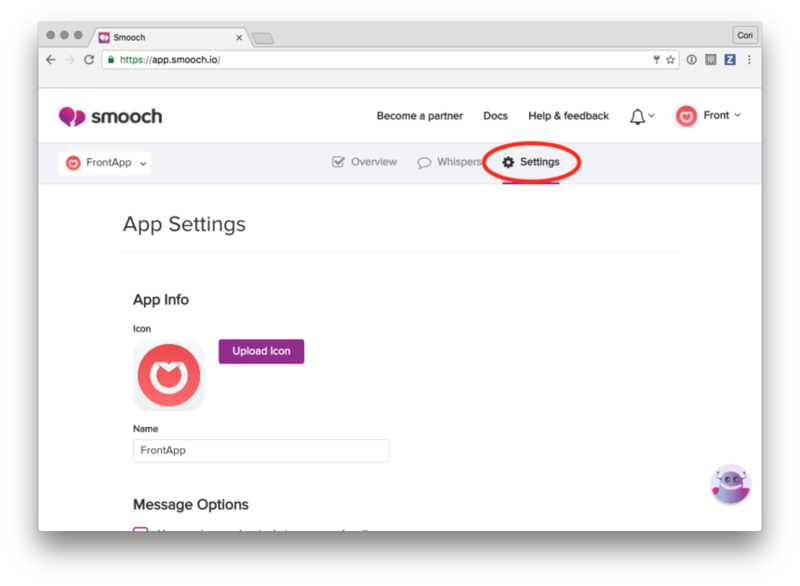 The Smooch integration allows you to display information in Front's plugin panel about your customers, when it's available in Smooch. This integration is useful when you have a Smooch inbox set up in Front. Front's Smooch channel and integration were developed for customers using Smooch Business plans, their direct-to-customer messaging offering. 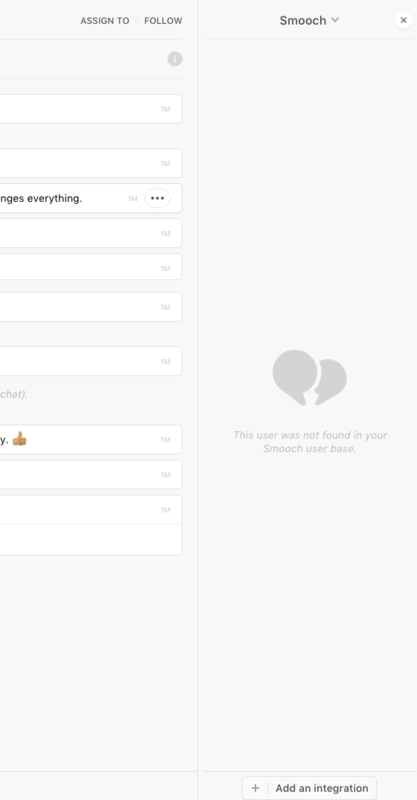 Going forward, Smooch solely distributes its messaging platform through partners and no longer offers this plan. Existing Smooch Business customers can continue to use this integration. If you are not an existing Smooch Business customer, you will not have access to the Smooch plan that is required to use this integration. Go into your Settings and select Integrations. Click Smooch, then turn the Enable toggle on. Retrieve your Key ID and Secret by logging in to the Smooch website. 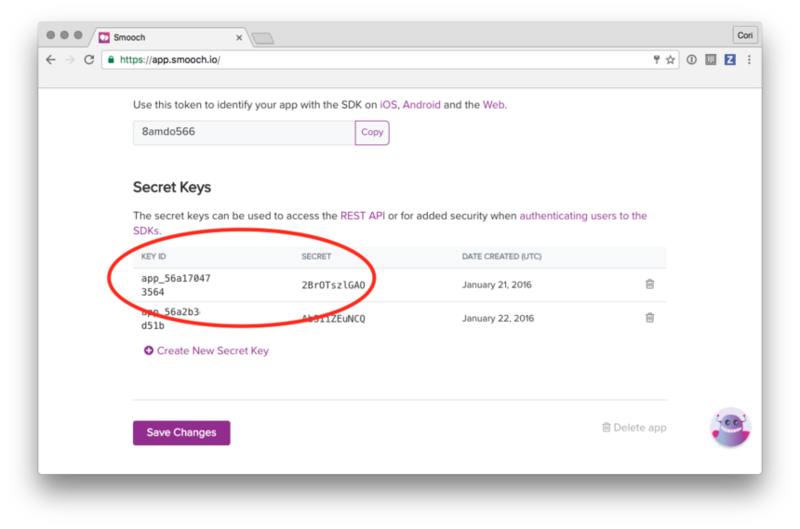 Paste your Key ID and Secret into your Smooch integration settings in Front. Click Save. You can now display information about your customers and where they're contacting you from directly in Front. Open the right pane by clicking on the arrow located on the top right corner of your Front inbox. Hi Frontapp team - So I have activated this plugin but i don't seem to see any web data associated with the contact. Any ideas? Christian Welsh Hey there! Are you seeing any data for any of your contacts at all?